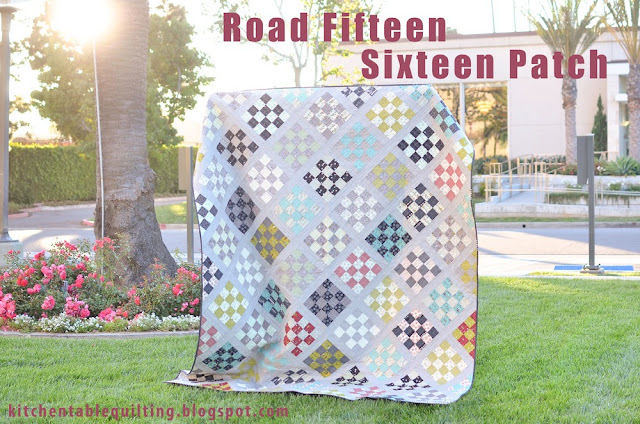 Head over to the Moda Bake shop to check out my new tutorial using Sweetwater's Road 15 fabric. I LOVE this line, there are so many great prints. It looks wonderful! Your son is so cute. Beautiful! Such a nice twist on the sixteen patch, and the setting gives the blocks so much impact. That is such a cute pic! Looks like a great (and greatly loved) quilt. What a great use for a jelly roll! 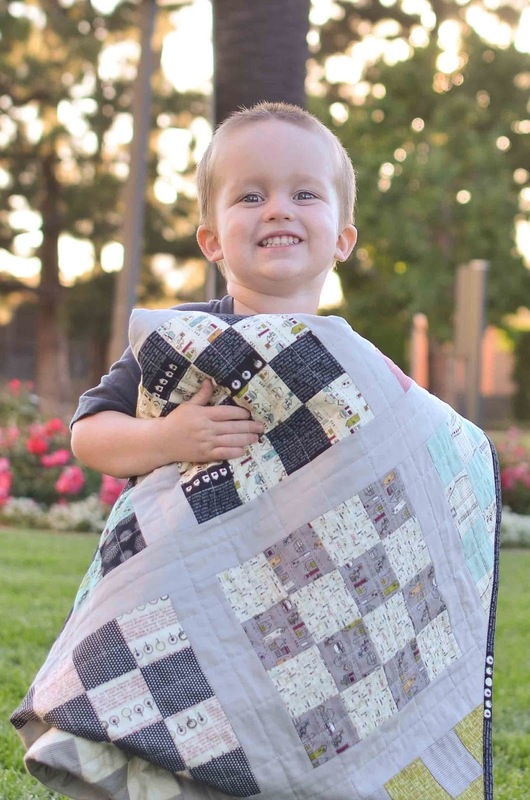 It is a beautiful quilt and that little guy of yours is adorable. I checked out your tutorial--very easy to follow. I don't have any of this line yet, so I love seeing your quilt @ Moda Bake Shop! It's fantastic, Erica, and your little guy is sure a sweetie! I was on the fence about this line, when usually I rush to buy a Sweetwater line, but your quilt has made me decide. Yes, I want it! Great quilt, simple and effective. I think your gorgeous little boy will adore it. My elder son is 6 and has. Reunion quilt on his bed and my youngest son is 4 and has a Lucy's Crab Shack quilt on his bed! My daughter 9 has a Sunkissed quilt. I love the sixteen patches on point! They look fantastic! Your son looks overjoyed! Beautiful grown up quilt for a grown up boy!